The Titleist Performance Institute® (TPI) seeks to educate golf industry professionals and the playing public on the importance of the body and how it relates to the golf swing. TPI does not believe in one way to swing a club, rather in an infinite number of swing styles. 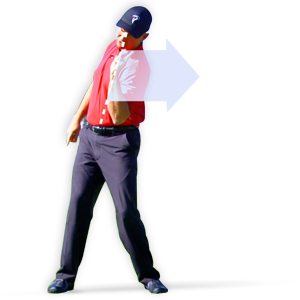 However, we do believe there is one efficient way for every player to swing and it is based on what the player can physically do. TPI’s mission is to educate golfers and industry professionals on the body/swing connection through its one of a kind “TPI Certified” educational program. TPI was brought to life by chiropractor, Dr. Greg Rose, and golf professional, Dave Phillips. Through their efforts, along with many other leaders in the golf world, a revolutionary view of golf performance was created. At the time, the connection between physicality and style of golf was not well established. Their efforts helped create a revolution in golf training; individual style mixed with the most efficient physical abilities possible. TPI provides a screening program to identify physical limitations of a golfer that may lead to poor performance or injury potential. This will test what the player can physically do and develop corrections for any limitations found. 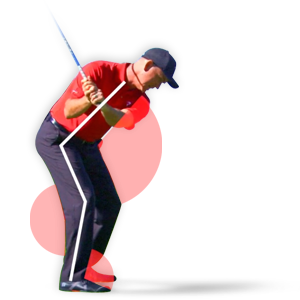 The most efficient swing is not the same for every golfer, because efficiency is unique to their body. To achieve an efficient swing, a golfer must first be screened. This screen involves an assessment of swing mechanics and biomechanics, physical fitness, movement quality, current health and a client history. TPI offers specializations for different fields that influence the game of golf. Examples include Medical, Fitness, Coaching, Mechanics, Power, and Junior specific coaching. These specializations within TPI allow the different fields of expertise come together and “speak the same language” when discussing a client’s case and create the best environment possible for the athlete. Once this screen is finished, the results are used to create a plan unique for that golfer. The plan may include fitness training, physical therapy and treatment, coaching of swing mechanics and biomechanics, nutrition, mental strategy or all of the above. A golfer will see the greatest improvement by surrounding themselves with a team of experts. Similarly, any professional in the golf industry will see their clients benefit most by themselves being part of a network or team of professionals. Dr. Brian Boisvert is currently a Titleist Performance Institute (TPI) certified practitioner. He, along with TPI, believes that golfers benefit most from a healthy and efficient body. Considering the golf season is relatively short in our city, it is imperative that golfers make the most out of the time given. No golfer wants to be plagued with injury or poor performance. Start and remain healthy this golf season by getting screened. For consultation, please contact Dr. Boisvert.